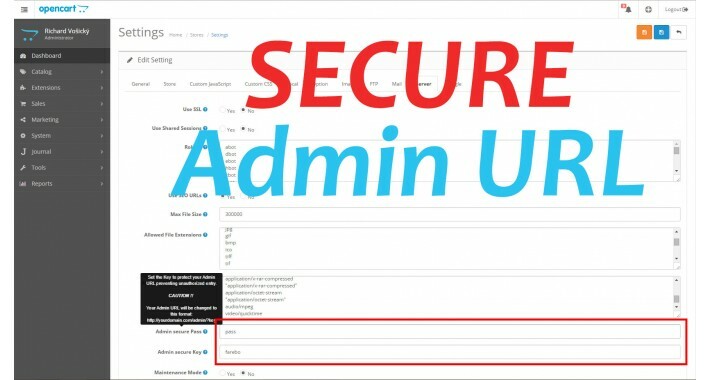 Set the Key and additional value to protect your Admin URL preventing unauthorized entry. If you apply only the key, your Admin URL will be changed to the format: http://yourdomain.com/admin/?key' but if you apply the value as well, your Admin URL will be changed to the format: http://yourdomain.com/admin/?key=value'. Go to the Settings - server tab a fill the key and additionaly value if you want.